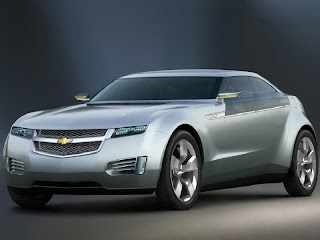 You've probably seen the ads for the new Chevy Volt showing the sporty concept version of this electric plug-in hybrid. Well, it doesn't look quite as sporty... more like Camry meets Malibu (thank you for the analogy, you know who you are). I guess they wanted to appeal to the masses, which is fine with me. The more drivers choosing clean powered vehicles, the better. Chevrolet Volt Leads General Motors Into Its Second Century DETROIT - General Motors launched its next 100 years today by unveiling the much-anticipated production version of the Chevrolet Volt - a vehicle that delivers up to 40 miles of gasoline- and emissions-free electric driving, with the extended-range capability of hundreds of additional miles. "Revealing the production version of the Chevy Volt is a great way to open our second century," said Rick Wagoner, GM Chairman and CEO. "The Volt is symbolic of GM's strong commitment to the future ... just the kind of technology innovation that our industry needs to respond to today's and tomorrow's energy and environmental challenges." Because aerodynamics plays a key role in maximizing driving range, GM designers created an aerodynamically efficient design for the production vehicle. 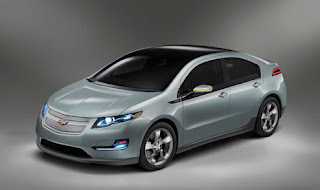 Many of the design cues from the concept vehicle endure in the production Volt, including the closed front grille, athletic stance, rear design graphics, outside rearview mirrors and more. The Volt's rounded and flush front fascia, tapered corners and grille are functional, enabling air to move easily around the car. In the rear, sharp edges and a carefully designed spoiler allow the air to flow off and away quickly. An aggressive rake on the windshield and back glass help reduce turbulence and drag. Working closely with GM aerodynamicists to shape the Volt, design and engineering teams developed one of the most aerodynamic vehicles in GM's history. They spent hundreds of hours with the Volt in GM's wind tunnel, testing and re-testing parts such as the front and rear quarter panels, rear spoiler, rockers and side mirrors. Aerodynamic improvements enabled GM to reach the Volt's target of driving up to 40 miles (based on EPA city cycle) without using gasoline or producing emissions. My boyfriend hates camping. The discomfort of sleeping on the ground, the syncopated cacophony of crickets and frogs, the inaccessibility to running water. But what about glamping? This supposedly eco-friendly form of camping -- think luxury safari complete with raised platform tents or yurts and real beds -- might just appeal to him. The purist would probably disagree that this is actually camping or truly low-impact, but it's less stressful on the environment than a conventional resort with reduced energy and water usage. And it's one step closer to nature than a hotel or lodge would be. While guests can choose to stay in the lodge or in a cabin, Mr. Bridge says the bungalows are sold out every summer and are popular even through the autumn (there are three comfort stations with bathrooms and showers). Campers can cook their own food on grilling stations throughout the campsite (picnic food and coal are available at the general store), or eat meals at the restaurant. There are an outdoor hot tub and a 24-hour dry sauna and spa. Weekend rates for a tented bungalow that can sleep three starts at $115. Unfortunately, glamping isn't always quite as economical as regular ol' camping. At Paws Up in Montana, the rate starts at $695 per night for two (with all 3 meals included). And at Clayoquot on Vancouver Island, Canada, it's about $4500 US for the minimum 3-nights' stay -- on par with the price of a luxe African safari. 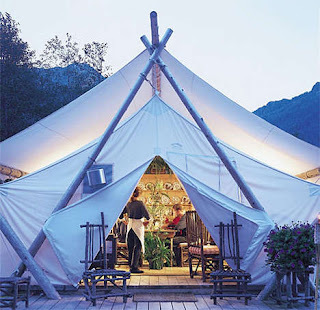 Read more about glamping in the NY Times. Eco-buyer Beware! is the title of a Time magazine article about all the greenwashing that's happening these days now that the sustainable lifestyle has hit primetime. The fear is that all of the illegitimate claims are not only going make it difficult for consumers to determine who is telling the truth, but the frustration that comes with it will bring down the whole green movement. If you're not yet sick of seeing whirling wind turbines and sun-dappled solar panels on TV, you will be: the new fall season is likely to feature a flood of green advertising. It's gotten so bad that the Federal Trade Commission (FTC) has been holding hearings over the past year to define the difference between genuine environmental claims and empty greenwash. It's not easy--and environmental advocates worry that truly green companies could get lost in all the clamor. A wake up call to vegetarians: get your vitamin B12! A new study out of Melbourne, Australia has found that vegetarians are 6 times more likely to experience brain shrinkage than meat-eating counterparts. I haven't been able to find the actual study (which makes me a little suspicious, 'cause this news is going like hotcakes 'round the net). The reason for the brain shrinkage is said to be due to lack of vitamin B12, an essential nutrient only found in meat and yeast extracts like Marmite (or how 'bout a nice Vegemite sandwich?). The part of the brain that's most affected by the shrinkage is the hippocampus, which is responsible for short term memory and spatial memory. So vegetarians and vegans, don't forget: take your vitamins! 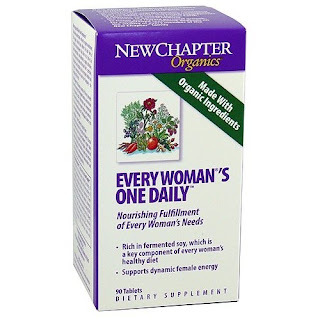 The best daily vitamin supplements I've found are from New Chapter Organics. They seem expensive at around $45 a bottle, but that's for a 90 days (3 months) supply. 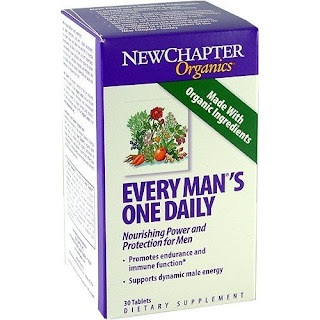 They're made with organic ingredients and have double the recommended daily dose of B12. These vitamins are considered a cultured whole food, which means that the body will easily digest the nutrients in their most active form.